Clowns Without Borders organisations are unique and dedicated to performing arts in areas of crisis. Artists and project leaders work in partnerships with INGOs, Local NGOs, UN agencies, researchers to imagine new approaches and new methodolgies. Every project is specific and artists have to improve, create and innovate all the time to answer partner needs. Both ESOMAR Foundation and Clowns Sans Frontiers are delighted to be able to provide additional capacity to the research project. 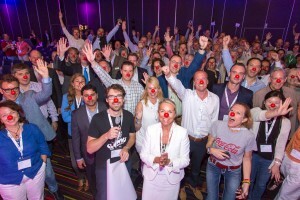 Both organisations will be communicating the achievements of the project in the hopes of inspiring further support to the programmes of Clowns Sans Frontiers. Support the Foundation in a 50k Ultra run!